To love those whom we dislike – For the fainthearted . . . 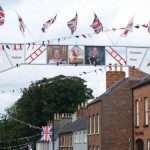 The news media carried reports that the Twelfth of July parades in Northern Ireland had passed off peacefully. There was little by way of comment on why this might not have been the case. Perhaps it is because we do not understand Loyalism, nor do we wish to do so. My late mother-in-law used to tell stories from the Belfast shipyard community in the 1940, 50s and 60s; tales of a proud people who received little reward for their loyalty to the unionist political establishment. Not that talking about the need to improve conditions in Protestant communities achieved much, “every election the drums would be beaten and they would go out and vote for the same old politicians”. Early in training for ministry, I learned not to talk about deprivation or alienation in Protestant communities. A placement in September 1984 brought experience of a parish on Belfast’s Shankill Road. Returning to the rural Co Down community where we lived, I tried, one Sunday morning, to talk to those in church about the social and economic plight of working class Protestant people. No-one wanted to hear. It was 1984 and traditional Unionism was in the ascendancy. Afterwards, a member of the congregation on that Sunday morning took the curate of the parish to task, “That English fellow has no right to be talking about Protestant people like that”. There was a point blank refusal to accept that there might be growing grievances in poor Loyalist communities. A decade later, and the Loyalists had embarked upon a campaign of sectarian slaughter against ordinary Catholic people. Few in the Protestant community were prepared to acknowledge that the monster had been created by years of neglect, years of denial. At the 1994 Church of Ireland General Synod in Cork, Dr Samuel Poyntz, the Bishop of Connor, made an impassioned speech about the desolation and desperation of the Loyalist estates in his Co Antrim diocese, “Not for them tiocfaidh ár lá”, he declared, “and it is out of that desperation and hopelessness that come the mad dogs who maim and kill”. The bishop’s voice was a minority, even at the synod there were plenty prepared to murmur approval, but few with any intention to do anything about the worsening situation. The Drumcree protests in the mid and late 1990s were probably the final rupture between Loyalism and the mainstream of the Church of Ireland. While the church’s condemnation of the violence and sectarianism was undoubtedly justified, there seemed little attempt to address the situations identified by Dr Poyntz, nor was there any desire to do so. 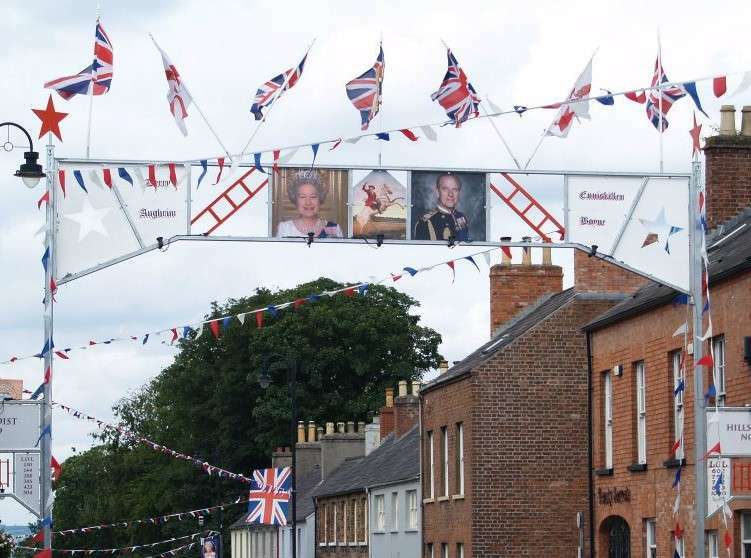 While the residents of Catholic areas along Portadown’s Garvaghy Road participated in community development programmes, there was little comparable work going on within the Protestant communities across the Province where violence and lawlessness erupted in response to the banning of parades. A 1997 meeting of a small group of clergy with a Loyalist group offered insights on what responses might have been possible. The meeting had arisen from pastoral concerns about punishment beatings and intimidation. One of those present reflected that problems arose from the fact that violence was seen as a way of solving disputes by working class people. People had not recourse to professional channels, or to the courts; if someone caused offence to the community, they would be beaten up, was his argument. Similarly, people trapped in the cyclical poverty of some communities found criminality an easy avenue to prestige amongst one’s peers and money for one’s desires. The Church of Ireland never ever made a systematic attempt at engaging with those communities, we developed no coherent theological response. There were brave individuals, there were local initiatives, but no comprehensive engagement, instead the years of progressively greater alienation continued. The mainstream political parties accommodated themselves to a new political dispensation where they shared power with former sworn enemies; those living in the places of hopelessness identified by Bishop Poyntz in 1994, found themselves ever more marginalised. The alienation has reached the point where, standing at a Somme commemoration on 1st July, I noticed young Loyalists who did not even sing “God save the Queen”. Relief in the media that there was no violence reflects a fear that violence will recur. What is Loyalism is really about? It depends who you ask, but even asking the question is becoming an uncommon occurrence. Standing at the edge of an Orange lodge ceremony to commemorate those who fell at the Somme, I noticed there was no clergyman to conduct the service. Afterwards, one of the lodge members discovered I was ordained. “Your reverence”, he said, “you could have taken our service for us.” Had I been asked, I am not sure how I would have responded. Much of Loyalism is probably about things we dislike, but if we don’t even try to talk to people about what is going on, don’t attempt to respond to situations of hopelessness, whose fault is it that nothing changes?